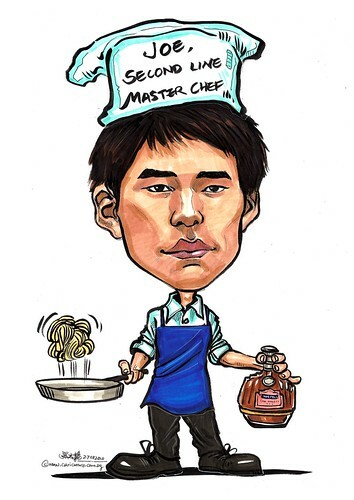 need to have the caricature done with a chef hat, apron, wielding some cooking utensils on one hand, cooking pasta and a bottle of martell on the other. Also the chef hat and apron in white colour. Chef hat to indicate "Joe, second line Master chef". Chef's apron over any top and black bottom."